Do you like Alto Paraíso? This national park is located in the state of Goiás, about 250 km from Brasilia. The towns of Alto Paraíso de Goiás and Cavalcante, in the northeast of the state, are located in the park. The park's objective is to preserve nature and more specifically certain kinds of vegetation. 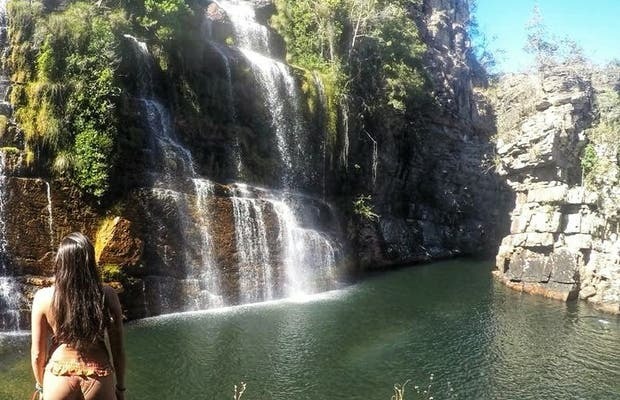 It is a UNESCO World Heritage site and was originally called National Park Tocatins, which was later changed to Veadeiros National Park as it is known today. The importance of this park is marked by the fact that a very special type of vegetation, characteristic of the region and known as Closed, which is very similar to the African savannah, can be found here.